Hooray! As 2011 approaches, I am relieved happy to say that I have finished my 2010 Challenge. As 2011 approaches, I am relieved happy to say that I have finished my 2010 Challenge. 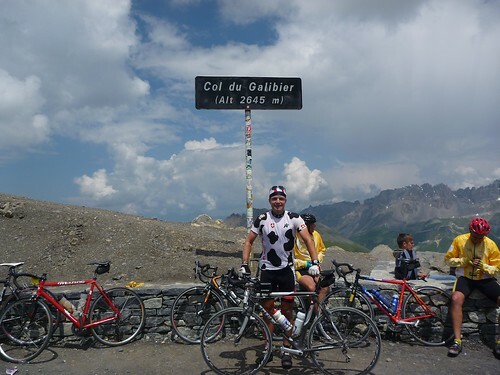 Overall, I cycled over 130 Cols – not counting repeats. 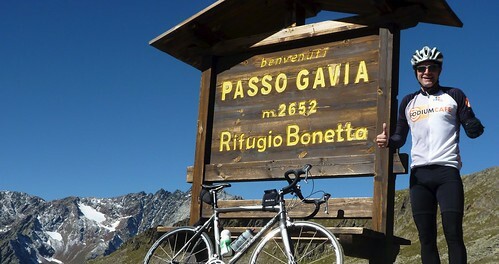 I managed 27 climbs over 2000 metres. It was looking unlikely until managing 11 in a sensational five day stretch in September (in Italy & Eastern Switzerland). Sub-challenge – At least 30 new climbs. I spent a lot of time scouring maps and managed 50 new Cols. It’s always fun to do a climb for the first time. 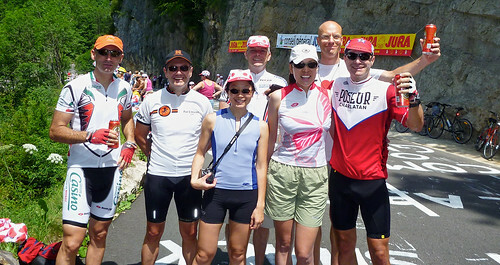 For a map and links to trip reports of all major 2010 climbs see here. I managed 17 metric centuries in 2010. These ranged from mountainous and very challenging (like La Marmotte), to one flat century, and three on the indoor trainer (including yesterday). The Indoor trainer is a necessary evil …. similar to root canal. Given that before June 2007 I had NEVER done a metric century, this part of the challenge kept me on edge throughout the year. Success! Full report and video here. Although still hours behind the winners, I trained pretty hard for this and managed to knock almost 90 minutes off my 2008 time. 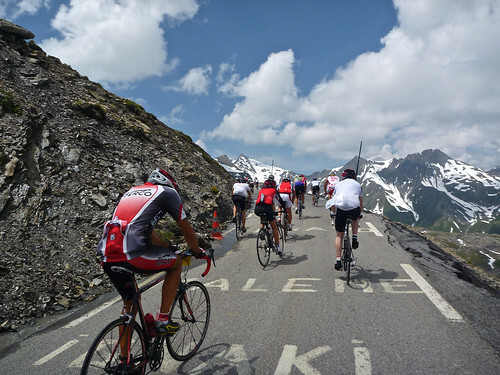 In the heat, the final climb up Alpe d’Huez was one of my toughest/worst moments on a bike. But the beers after tasted extra sweet. After losing a lot of weight in the first months of the year (due to Marmotte-fear), I have gained some back. But I’ll finish the year lighter than I started it – unless Christmas is especially gluttonous this year. The Best Ride of the Year? Well done, it’s been a pleasure to read and very informative along the way. 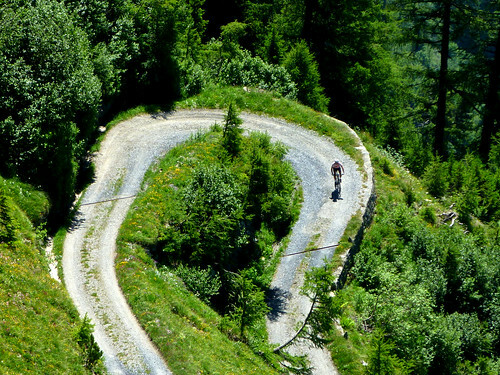 Inspiring too, I was tending to do the same loops by mid-summer but then saw your col hunting pieces and then clocked up 70 cols myself, although more through exploration and starting 99% of my rides from the Geneva area. 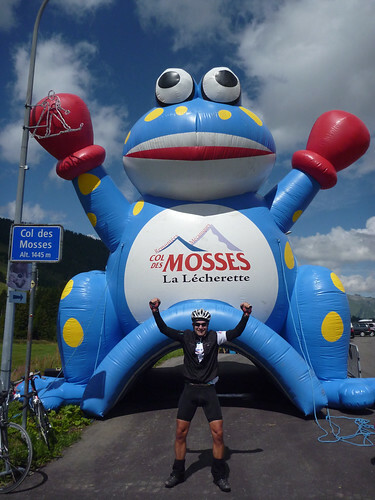 Maybe the Club des 100 Cols next year for me… and you? What an awesome year you have had. 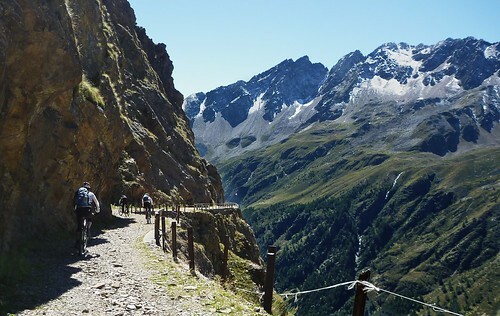 It is an inspiration to get out and about and explore new roads. We don’t have cols over here in NZ so I have to wait till I’m in Europe for that. I always look foreward to recieving your lastest up date to see where you’ve been, the photos and videos are stunning. Well done! I love reading your blog. I wish I had the opportunity to do as much riding as you do. At least I managed to cycle Ventoux twice while on holiday. Not been on the bike for 2 months! Have an ankle and knee injury but hoping to get back on the trainer in Jan to lose weight for a series of sportives in Spring. Snowman: Yes, I love Col hunting rides ….. well done, glad to hear I might have helped with routes. Congrats on another great year. I look forward to your new challenge for 2011. All your Moo productions this year have been very good. 100k on the trainer? Crazy. I live in mild Sydney and don’t require the trainer very often. Merry Christmas. I wish you a very Merry Christmas and all the best for the New Year. Cher Will, en lisant tout cela je réalise encore mieux la chance que j’ai eu de partager quelques km avec toi & d’autres ! An inspiration to the rest of us. Your consistency is v impressive. I think a Will’s blog reader tour is in order. Du beau boulot encore cette année ! C’est pas mal cette série de challenges, cela permet de se fixer quelques objectifs et de conserver une bonne motivation.